The Sandbox Writing Challenge #41 — What in the World??? What other worlds entice you? I absolutely love this question, so why has it taken me so long to write about it? Well, I don’t know. I read it on Tuesday and have been pondering over it now for a couple of days. I can honestly say that I don’t want to know any other worlds where too much chaos or extreme noise is prevalent. So no big cities or loud clubs for me. I prefer quiet, peaceful and serene settings, darkness and sometimes the light. Anywhere I can find that tranquil mindset. So I guess rural settings, the mountains and seascapes entice me the most. However, this morning, something caught my eye – a small winged insect strolled across my desk. It just meandered there in the open space for a few moments and then when it came across something foreign to it (an object on the desk), it stopped, put out its antenna and “felt” around before approaching it. I sat and watched this creature for quite a while. I was transfixed by its caution and then delighted as it hurried toward the object, climbed upon it and went on about its merry way. It reminded me of how curious and fascinated I’ve always been with the insect world. I’ve often wondered what insects think of us humans, if they think of us at all. They just seem intent on going and doing wherever or whatever they’ve set their minds to go and do without thought to what may be in their way. When they approach an obstacle, they find away to tackle it – by going around, over it or taking another path. It also reminded me that we humans think too much instead of just doing. So yes, the insect world definitely entices me. It also gives me a lot of pleasure just watching bugs crawl or fly around. Last week, I didn’t get to celebrate anything. I was all set to write my post when the neighbor’s tree hit our Lumos line, knocking out the cable, phone and internet. I will celebrate that no one was harmed and I was back up and running by Monday. We celebrated the arrival of Spring in a typical Virginian way with wacky weather. It was a record cold 1st day of Spring. I stayed huddled in my room with the heater on, writing. Wednesday, we celebrated my dad’s 73rd birthday. We didn’t do anything special because that’s just the way my dad is… no thrills, no frills and no fluff. So long as well all remember a card or a “Happy Birthday, Pops!” then he is a happy man. I guess it comes from growing up poor and always making a meager paycheck with 3 kids to raise. He was never one for presents or even a cake. We did make him a nice dinner though. By this time next week, March will be over. It has been another whirlwind month of writing for me. I can hardly believe the month is so close to an end. And with it’s end, will come the end of my noir-style WhoDunIt, The Stacked Deck. I have enjoyed being in the head of my MC, Jack Diamond. He is such a cad, but I love him! I will miss him when this month is over. 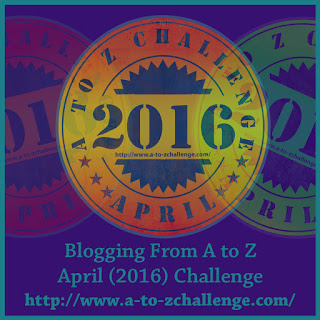 But I do have April to look forward to and with it comes the A2Z Challenge. I will be switching gears from mystery to science fiction. I figure if I can go from horror to mystery, then these science fiction stories should be a breeze. And finally, I am celebrating the visit of my sister and my two grand-nieces. They should be here in just under an hour. It’s been nearly a month since I’ve seen them. Skylar and Autumn are a sheer joy to be around. What are you celebrating this week, dear readers? Feel free to share with me in comments. Each Friday, I join Lexa Cain and friends for a weekly blog-hop called Celebrate the Small Things, where we celebrate all of those small moments from the week before. The Sandbox Writing Challenge #32 — Smile! What would make you feel the way this woman feels? The emotions that I get from this photo are happy, joyful, flattered, open, engaged, positive, and sincere. This is tougher than it appears, Calen! I guess it would take me believing that the person doing the flattering, making me laugh or giving me joy was open, honest and spiritual before I would believe anything that came out of his/her mouth. How cynical is that? My cynicism comes from living with a narcissist for 13 years. When you live with a narc, you never know if what they say is sincere and for you, or if they are just mirroring you to make themselves feel great. They will praise you or compliment you one moment and berate and belittle you the next. You never quite know where you stand with them. It also comes from living in a house as a child were anything flattering that was said to you always came with a “but.” For instance, I often heard this from my mother, “You got an A- in Advanced Algerbra, a B+ in Advanced Chemistry, an A- in Spanish, and an A- in Government… that’s great, but your sister got straight As. How come you can’t get straight As?” She failed to realize that my sister never took Algebra, Chemistry, a history course beyond American History, or a foreign language. She took Typing, Stenography, Business Math and other basic classes. My sister never applied herself in High School. Her biggest goals were to graduate, work as a secretary for the local newspaper for a few months and then get married, quit work and raise kids. I had my sights set on college. In my eyes, it was Apples and Oranges. And that was just one example of how my praises got railroaded. There are many, many more, but I won’t bore you with them. So it is very hard for me to take compliments and find joy in them because I am always waiting for the “but” to fall. I have learned to say “Thank you” graciously, but I rarely smile when complimented. What I did today: Sleep was a fitful endeavor. My feet continued to burn and ache long into the night. I think I finally fell asleep around 3 am. Thus, I was late waking up this morning and probably would have remained asleep if there hadn’t been a knock on the screen door. The interloper was sent away and since I was now up, I remained up. I dove into my writing and managed to get all of it completed. The sun was bright and it was warm-ish today, so I sat out on the front porch for a bit. Now it is time to complete my notes for my upcoming story tomorrow. What I learned today: My life is quite content and I am comfortable in my own skin. What I am most proud of today: I finished all of my Horror Tales for February. 29 stories. Plus an extra Leap Day story. Life is good! If we were having coffee, I would serve you some delicious shortbread cookies with your morning roast. Today being an unusually warm mid-morning in February, we would sit out on the front porch with sweaters on and have a chat. If we were having coffee, I would tell you about my “gap” moment very early this morning as I stood at the kitchen window waiting for the kettle to boil for my morning tea. I spied through the maple tree a most glorious sight. An orange, pink and red layered sunrise! Time stood still. The moment lingered. I was lost in awe. The kettle whistled and reality slammed me back into the kitchen. “If only “gap” moments lasted longer,” I would say with a long sigh. If we were having coffee, I would cackle with glee. You’d stare at me, oddly. And then I would tell you that there are only 40 days left until the beginning of the A2Z Challenge and how thrilled I am to be participating. If we were having coffee, I would tell you how excited I am about watching The Martian tonight. “I didn’t get to see it in the theater, as there are none close to me,” I would confide. “I loved the book and hope they are true to it. Science Fiction is my favorite genre!” I would say as I clapped my hands. “What’s yours?” I would ask curiously. And finally, if we were having coffee, we would end our chat by gazing at the small neighborhood where I grew up and reflect on how it has changed, and yet remained very much the same. If we were having coffee, what would YOU tell me? Let me know in comments! This delightful morning coffee share is brought to you by Part-Time Monster and friends. What turns you on creatively, spiritually or emotionally? Reading the stories of courageous people, who despite the odds, have overcome adversity. If Heaven exists, what would you like to hear God say when you arrive at the Pearly Gates? See, I told you it wasn’t your time yet. Now aren’t you glad you stayed? I am grateful that I got to spend some time with my grand-nieces, Skylar and Autumn. I am grateful that my muse hasn’t given up on me yet. And I am grateful that my health is holding out. For this week, I am looking forward to *hopefully* catch up on all of the emails that I am a week behind reading. And I am looking forward to watching Season 6 of Downton Abbey that I’ve ordered on Netflix. What I did today: I completed all of my writing projects for the day. Read some blogs, emails and did a few reblogs. This afternoon, my niece stopped by with her two daughters and I got to spend some time with them. They are delightful girls. What I learned today: Because I was so centered on my own life, I really missed out on my niece’s childhood. She loves me and I have no idea why. I was never there for her birthdays or Christmases. I wasn’t there for her graduation or wedding. I wasn’t there for the birth of her daughters. Her daughters love me automatically too. I’ve been absent in all of my nieces and nephews’ lives. Why any of them should love me is beyond me. So what I have learned? I want to be present in all of their lives and their children’s lives from now on. Maybe some day I can earn the love them all seem to have for me. What I am most proud of today: I was able to share some of my life with my grand-nieces so they will know who I was and who I am now. They were attentive and generally interested in all that I told them. It made me proud to be an aunt for the first time in my life. It never ceases to amaze me where my childhood memories will stem from. First, I should tell you that I have a difficult time remembering my childhood. I had a childhood illness that has made my long-term memory fuzzy. Generally, I remember only bad things because those get repeated over and over again in my head forcing me to remember them. That is part of my mental illness. But every now and again, something will draw out of me childhood memories. I cherish this because it happens so rarely. Today, after reading Shawn Bird’s poem Rockery, I was able to relive two memories. The first was the many times while out playing with my sister, I would fall down on pine cones and tear up the same place on my knee. While this is a painful memory, it is also a happy one. We lived in a small house in the country surrounded by a pine tree grove. A slim path led from our house through the woods to a neighbor’s house where my sister and I would go to play with the twins who lived there. My sister always ran ahead of me and I tried my best to keep up, but usually ended up stumbling and falling on the pine cones that covered the path. These were simpler and happier times for me before life got too complicated. The next memory was of the hen and chicks that my paternal grandmother always grew in terracotta pots in the yard. I remember sitting on the porch staring at them and wondering how they could survive our harsh winters. I guess grandmother brought them inside in the winter, but at that time I had no clue. They were just so small and delicate. I remember thinking once that I wished I was a hen and chick, living in those pots and just soaking up the sun and rain. Again, a simpler and happier time in my life. For today’s #joyfuljan, I find joy in completing goals. Today is the last day of this Joyful January challenge. Except for the four days that I was unable to be online due to a winter mishap with my wifi line, I have posted every single day. I’ve also written small stones and did the JusJoJan each day (except for those 4). It brings me joy to set goals and make plans and be able to complete them. It wasn’t always the easiest to come up with joyful reasons each day, but I have learned over the course of this month that joy can come in the simplest of things, from a cup of coffee or tea, to chatting with family and friends, and even celebrating happenstance moments in my life. Thank you to everyone who came here each day and shared these moments with me. You too brought joy to my life! What are you joyful about today? Let me know in the comments. For today’s #joyfuljan, I find joy in remembering and honoring my mother. If she was still with us, my mother would be 71 today. A beautiful blue urn sits upon the TV unit which holds her ashes. A picture of her in her late teens or early 20s sits next to it and angels surround both the picture and the urn. I have lit a candle there that will burn all day to honor her. I haven’t always had joyous reasons to celebrate my mother. We had a rocky relationship and I had been angry with her for years, before and after her passing. I’d like to think that I’ve grown enough spiritually though to let that anger go and remember her for the gifted and talented woman that she was. My mother could cook anything. She would whip up concoctions with whatever she had handy. She was also an amazing baker and made the best cakes, rolls, and candies. Later in life, she discovered that she could paint and there are ceramics all over the house that display her gorgeous talent. She was also a great storyteller and I’d like to think that this is where my interest and talent in writing stemmed from. Happy Birthday, Mother. I miss you and love you and rejoice in you this day!